In the direct mail industry, you might hear someone say, “You can ignore your inbox but you can’t ignore your mailbox.” Meaning you can easily ignore all the emails being sent to your phone, tablet or computer, or simply “check all” and “delete.” You can’t exactly do that when it comes your physical mailbox or post office box. Well, could you? Is it possible to ignore your mailbox? New technology and applications make it possible… sort of. If you choose to ignore your mailbox and it becomes too full, the mail carrier will simply stop bringing your mail and leave you a notice instead. The notice will confirm your mailbox is overflowing and your mail is being held at the local post office. Even though they won’t fine you, it’s important to keep in mind that you’re ignoring bills that must be paid, potential government documentation that has to be filled out and brochures full of coupons and local happenings to take advantage of. WHERE DOES INFORMED DELIVERY™COME INTO PLAY? Knowing that you can’t ignore bills or jury duty, maybe you don’t want to ignore your mail completely, just delay having to deal with it. USPS Informed Delivery™ has undergone initial beta testing, and is set to go national sometime in 2017. It’s a process that sends images of a mailpiece’s front-exterior, which are originally taken to help aid in mail sorting and delivery, and then sends the image to customers as a preview of what will arrive in their home. Though it does not currently work for PO Box customers, certain postal services have an existing service where they receive a text message or email notification about their mail, but with no images. Currently, Informed Delivery™ will just consist of letter-sized mail, while magazines, big envelopes, and packages are expected to be added in at a later date. For regular mailbox customers “each day, after mail is scanned and imaged, small black-and-white pictures of each piece are compiled and emailed to opted-in participants. Every member of a household can receive individual notifications. In the future, traveling customers may preview the day’s delivery from anywhere at any time, using a smartphone app or web portal,” (Marketing Tango). Thus, allowing you the decision to either rush to the mailbox to gather your urgent mail, hold off until you receive something you feel of value, or have the post office hold off on sending if you’re away. It’s also another way to monitor receipt of your letters, checks, legal papers and other important correspondence. There’s been mixed opinions about this new option. Some direct mail marketers feel that this will be a great convenience, while others worry that it will lessen people’s visits to their mailbox and therefore reduce the impact of direct mail. Those in favor of this new application are viewing it as a complete game changer. Postmaster General Megan Brennan believes that this blending of direct mail and digital technologies is going to focus more positive attention on the mail industry. “’Informed Delivery™ engages customers where they want to be — in a mobile and digital environment," says Postmaster General Brennan. 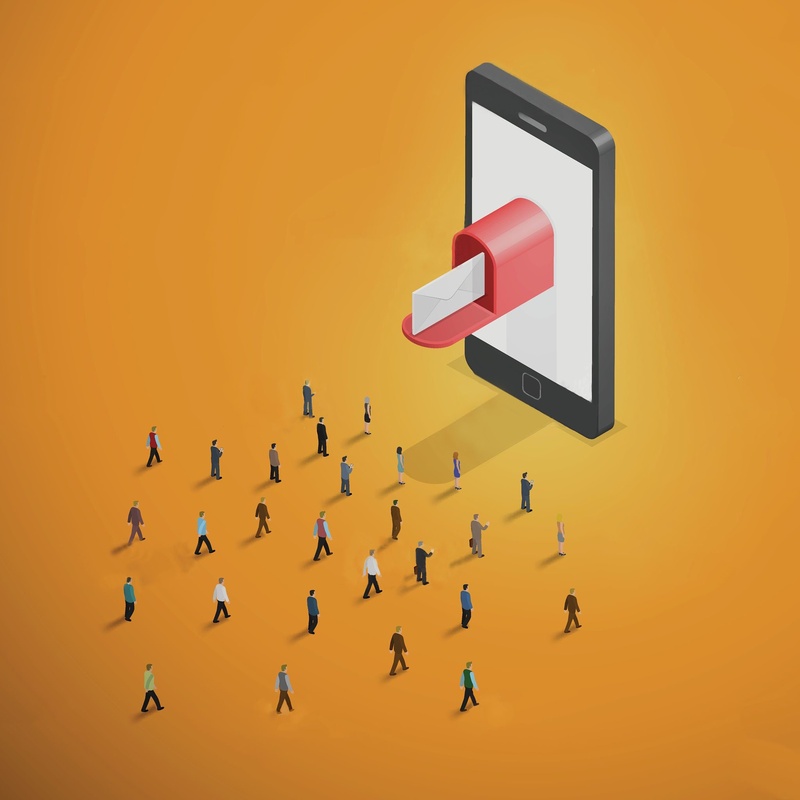 “It puts the power of direct mail onto digital channels… and creates an opportunity to bring mail and packages onto consumers’ smartphones and devices,” (Marketing Tango). 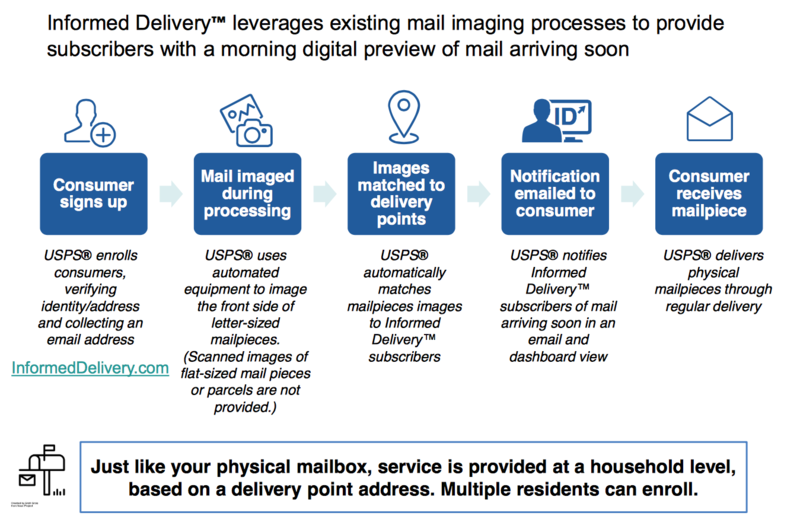 In addition to becoming another launch pad to other channels, Informed Delivery™ can benefit the whole household because it “ensures that everyone sees the mail each day, not just those that retrieve the mail from the physical mailbox,” (USPS). From a marketing standpoint, the primary benefit of Informed Delivery™ is the ability to provide additional touchpoints for a potential consumer. When a person is sent an image of their mail, “brands could conceivably embed links to websites or digital offers within daily email notifications. Analytics would also enable the Postal Service to track which mailpieces consumers view and what actions they take, which could improve personalization,” (Marketing Tango). From a consumer’s standpoint, Informed Delivery™ makes it easier to take advantage of opportunities that are sent to them. All they have to do is just click a link, rather than receive a mailpiece, and forget where they put it, thus resulting in the offer in the piece to expire. The potential downside to Informed Delivery™ is that messages with images get sent to your email. If you aren’t too keen on checking your emails in detail daily, or you’re one of those people who ignore your inbox, you’re not going to be able to take full advantage of this service. In addition, the concern with marketers is that if people are receiving these emails and choosing to not go to their mailbox, or choosing to not read a piece fully, will it make the industry of direct mail seem less impactful? Most innovators in the industry aren’t too worried about that, though. They feel that the importance of direct mail and actual physical pieces of mail is one that’s only growing as digital technology gets more advanced. 2. Click on "View My Mail." 3. If you already have a personal usps.com account, sign in. If not, create an account. 4. Once you signed in, go to My Preferences. Under Account Management, you will see a box for Informed Delivery™. Click "Manage Your Mail." 6. Complete the identity verification process (If you have not already done so for My USPS). 7. Click the checkbox for "Informed Delivery ™ opt-in" and confirm your address. Click the blue "Informed Delivery™" button to continue to your dashboard. 1. 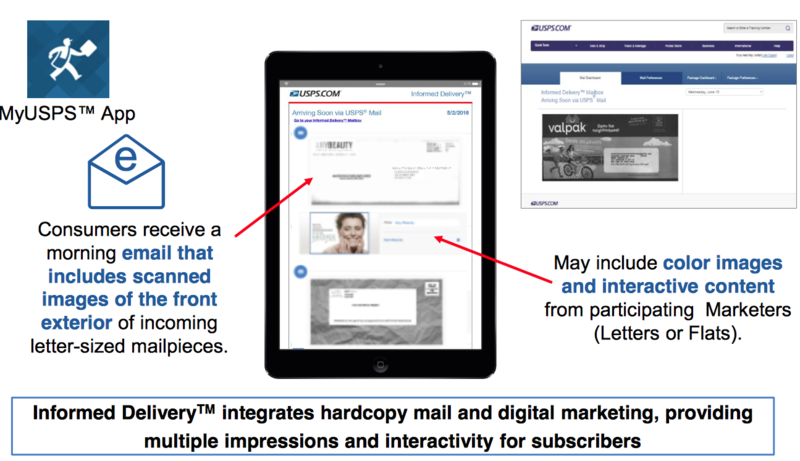 USPS Informed Delivery™ will add another touchpoint for marketers directly on an email with the image of the mailpieces they are set to receive. 2. 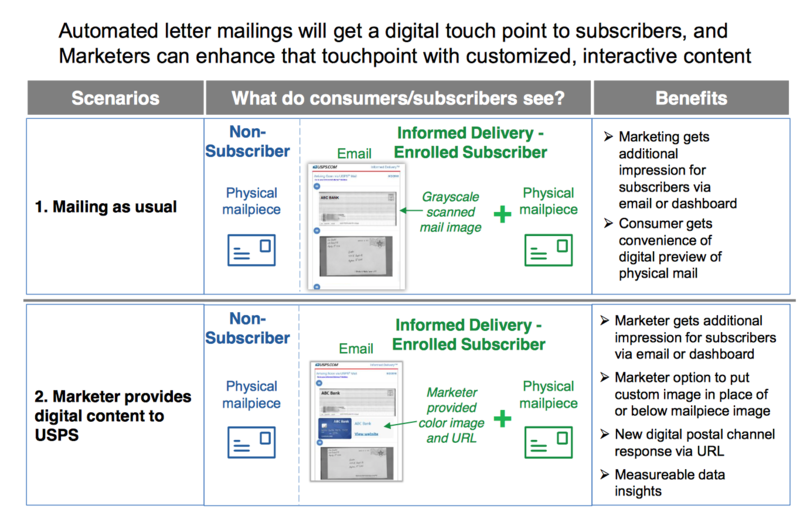 The importance of physical direct mailpieces is still as important; if not more important, than digital mailpieces.